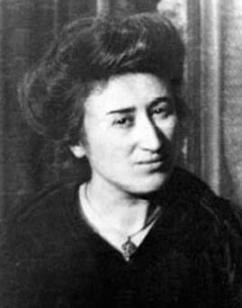 Rosa Luxemburg’s Spartacists called at Kiental for a new International. April 27, 2016 -- Links International Journal of Socialist Renewal reposted from John Riddell’s blog with permission -- One hundred years ago this week, socialist opponents of the First World War gathered in Kiental, Switzerland, issued an appeal calling on working people to “use every means possible to bring a rapid end to the human slaughter.” The appeal, known as the “Kiental Manifesto,” appears below. July 10, 2015 -- Green Left Weekly, posted at Links International Journal of Socialist Renewal -- Regardless of the result of the latest round of negotiations between the SYRIZA-led government of Greece and the heads of the 28 members of the European Union, one thing is certain: in coming years, the Greek people are going to need all possible solidarity because their struggles and sufferings are bound to continue. The best imaginable deal with the EU will mean six years of Troika-imposed austerity grinding along to one degree or another. Forced Greek exit from the eurozone will drive the country deeper into recession, further contracting an economy that has shrunk by 25% since 2008. This awful choice will hang over Greece so long as the country has a government committed to ending the austerity that has created a humanitarian crisis. Which of these two paths to misery appears least evil will be for Greece to decide. At the time of writing – July 9 – a forced Greek exit from the euro remains possible. April 28, 2015 -- Links International Journal of Socialist Renewal -- As you all know a very devastating earthquake hit Nepal on April 25. More than 5000 people were killed and more than 6000 are still missing. Outside of Kathmandu is also badly affected, however due to remoteness damage has still not been fully appraised. There is great need for health care, food and water. I am coordinating to raise funds in Australia to address this crisis. If you can please support by donating to the following account, all money raised will be sent to National Disaster Relief Fund in Nepal. Organisation name: Australia Nepal Public Link Inc.
April 9, 2015 -- Links International Journal of Socialist Renewal -- The following letter, signed by 30 academics, municipal councillors, trade union officials, journalists, solidarity organisation convenors and political party leaders from around Australia, was initiated by the Venezuela Solidarity Campaign in Melbourne. It will be handed over the US consulates in Melbourne and Sydney on April 10. If you would like to add your name please email Denis Rogatyuk at denis_rogatyuk@mail.ru. We, the undersigned individuals and organisations, reject your March 9, 2015, declaration deeming Venezuela as an “unusual and extraordinary threat to the national security and foreign policy of the United States”. We also oppose the sanctions your administration has placed on a number of Venezuelan state officials and call for the immediate repeal of your Executive Order on Venezuela. 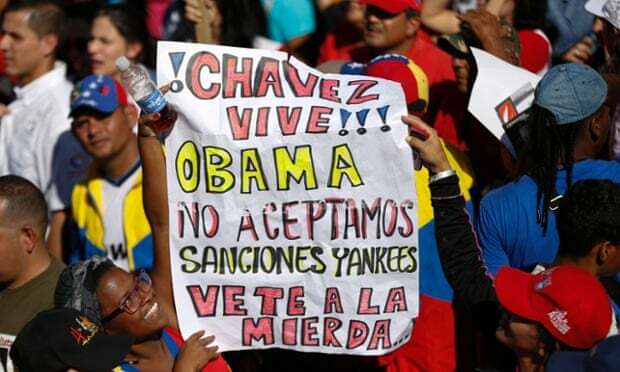 The reality is that Venezuela today is not at war with any nation, nor does it have military bases outside its borders. In fact, Venezuela is helping to mediate an end to the war in Colombia and has constantly championed peace in the region. 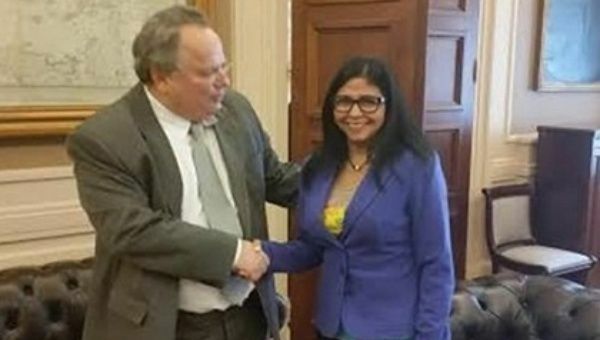 Venezuela's foreign minister Delcy Rodriguez (right) and Greece's foreign minister Nikos Kotzias. Photo: MPPRE. March 7, 2015 -- TeleSUR English, posted at Links International Journal of Socialist Renewal -- Venezuela has proposed trade and economic agreements that would make Athens one of Caracas' main trading partners. Venezuela and Greece solidified their bilateral partnership this week, when Venezuelan officials visited the Mediterranean country to meet the new SYRIZA government. Venezuela's minister of foreign relations Delcy Rodriguez met with the new Greek prime minister Alexis Tsipras on March 6, who said that solidifying the relationship between the two countries would mutually benefit the Greek and Venezuelan people. February 23, 2015 -- Johnriddell.wordpress.com, posted at Links International Journal of Socialist Renewal with permission -- The following talk was given at a celebration of ALBA in Toronto, February 21, 2015. 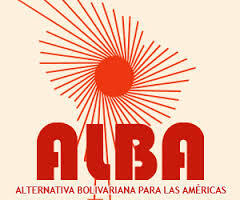 Today we celebrate a decade of achievement of the Bolivarian Alliance for the Peoples of Our Americas (ALBA). For 10 years ALBA has stood on the world stage as a defender of peace, solidarity and popular sovereignty. Before ALBA, Cuba stood alone for many years against the U.S.-led empire. But through ALBA, an alliance of countries, with wide influence and many friends among governments and peoples, now challenges imperialism on a range of issues. While representing only a few small and poor countries, ALBA exercises great moral authority and carries weight in world affairs. ALBA is the most effective international alliance based on solidarity in modern history. February 24, 2015 -- Greek Solidarity Campaign, posted at Links International Journal of Socialist Renewal -- The Greek epic has already acquired all the features of an exciting action thriller, with all the appropriate drama (and hubbub), with constant surprises, twists and turns. And we still are at the opening scenes. The exhilarating SYRIZA win, with thousands of activists across Europe gathering in Athens on election day to be part of "history in the making”, the cliff hanger on the night as to whether SYRIZA would secure an absolute majority, the breathtaking speed with which the new government was formed and hit the ground running, all helped to set the scene and the pace of the thriller. 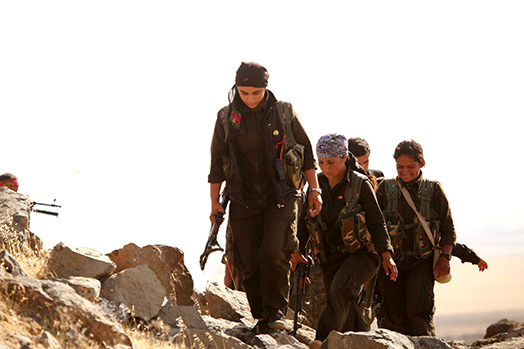 "We can say that Kurdish women led the Rojava revolution. Women have a part in every decision taken in Rojava. The colour of the Rojava revolution is the colour of women." January 17, 2015 – Links international Journal of Socialist Renewal -- The following interview was conducted in partnership between the Rojava Report. Özgür Amed is a journalist, columnist, teacher and activist from Diyarbakir, where he gives courses on cinema and works with local civil society organisations as a project coordinator. Click HERE for more on the Australia-Venezuela Solidarity Network. January 12, 2015 -- Australia-Venezuela Solidarity Network, posted at Links International Journal of Socialist Renewal with permission -- Following months of organisation and planning, the Australia-Venezuela Solidarity Network’s 15th solidarity brigade touched down in Maiquetía International Airport in Caracas on December 1, 2014, at a highly important time for the Bolivarian revolution. With imperialism increasing its efforts to undermine the revolution and exacerbate internal weaknesses, and with the Venezuelan people still reeling from the blow of the premature death of former president Hugo Chavez, international solidarity is needed like never before to maintain the revolutionary advances made by and for the Venezuelan people. Statement released in French on January 5, 2015 -- Links International Journal of Socialist Renewal -- European Union, European directors, International Monetary Fund, ratings agencies: stop your blackmail, end your interference in the Greek election campaign! Let the people decide! In a context where harsh blows are multiplying in Greece (corruption of elected representatives, disinformation, restriction of democratic liberties), in order to prevent the possible victory of the left-wing movement SYRIZA in the legislative elections on January 25, we see the IMF announce the suspension of its “aid”, and the European commissioner for the economy Pierre Moscovici address himself directly fo the Greek electorate to tell them which way they should vote. For his part, Jean-Claude Juncker, president of the European Commission, declared that he “would not like it if the extreme forces come to power” in Athens. In Germany, the finance minister Wolfgang Schaüble reaffirmed in passing that there is “no alternative” to the reforms underway in Greece. 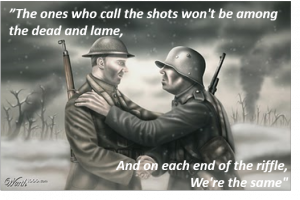 See also "The soldiers' Christmas truce -- A bas la guerre! Nie wieder Kreig! Das walte Gott! Peace on Earth!" Read more on World War I.
December 24, 2014 -- Green Left Weekly/Links International Journal of Socialist Renewal -- Australians have begun the grim journey through the centenary of World War I. Our newspapers have special articles and multi-page wrap arounds commemorating every significant date. This is driven by a multi-million dollar government fund designed to whip up militarisation in contemporary Australia by obscuring the truth about WWI. Part of the truth is that in Christmas 1914, just months after the war began, millions of soldiers ceased fighting and fraternised across the trenches. In some areas, this lasted for a week. 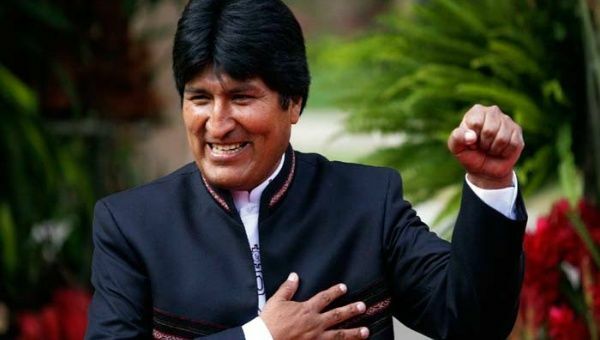 August 7, 2014 -- TeleSUR English, posted at Links International Journal of Socialist Renewal -- Bolivia's leader Evo Morales is among a list of recognised names including former Honduras president Mel Zelaya and Nobel peace prize winner Adolfo Pérez Esquivel calling for support to the boycott, divestment and sanctions campaign against Israel. Morales has officially signed on as a supporter of the Boycott Divestment Sanctions (BDS) campaign against Israel. In an open letter released on August 6, Morales heads a long list of signatories from Latin America and elsewhere condemning "apartheid and genocide" against Palestinians, and calls on Israel to respect United Nations resolutions. Among those listed as signatories include former president of Honduras Mel Zelaya, Nobel peace prize winner Adolfo Pérez Esquivel, Uruguayan author Eduardo Galeano, Cuban musician Silvio Rodríguez and teleSUR president Patricia Villegas (see full letter below). Internationalism: Members of the National Union of Metalworkers of South Africa sing their solidarity with the people of Gaza. Filmed at a demonstration in Port Elizabeth on July 25, 2014. For more on NUMSA, click HERE. August 5, 2014 -- Links International Journal of Socialist Renewal -- The National Union of Metalworkers of South Africa (NUMSA) will be hosting an International Symposium of Left Parties/Movements in Benoni, Kopanong Hotel, from August 7-10, 2014, under the theme: “Building our own Movement for Socialism: Learning the Lessons First Hand”. The symposium is in line with NUMSA’s groundbreaking resolutions taken at our special national congress held in December 2013. The NUMSA delegates who attended the special national congress mandated the national leadership structures to “explore” the establishment of a Movement for Socialism given that the working class needs a political organisation committed in its policies and actions to the establishment of a Socialist South Africa. In particular, the funds collected will be for Inma'a Association's project of helping the Palestinian children and their families injured by the 2014 war on Gaza and those affected by cancer receiving treatments in East Jerusalem and Israeli hospitals. Palestine: Urgent call from Gaza civil society: act now against Israel's apartheid! Palestinians mourn victims of Israeli air strikes in Gaza City, July 12 (Mohammed Asad / APA images). July 12, 2014 -- Electronic Intifada editorial -- We Palestinians trapped inside the bloodied and besieged Gaza Strip call on conscientious people all over the world to act, protest and intensify the boycotts, divestments and sanctions against Israel until it ends this murderous attack on our people and is held to account. Miles de pueblos indígenas dirigidos por la CONAIE (Confederación de Nacionalidades Indígenas del Ecuador) se reúnen en Quito en marzo 2012 Después de una marcha de 15 días exigiendo el fin de minería a cielo abierto y las nuevas concesiones petroleras. 06-06-2014 -- Rebelion.org -- La reciente avalancha de campañas de alto perfil contra proyectos de extracción de materias primas ha abierto una importante y novedosa dinámica en los vastos procesos de cambio que se dan en América del Sur. La comprensión de su naturaleza y significación es decisiva para aprehender las complejidades inherentes al cambio social y mejorar la construcción de solidaridad con las luchas populares.